Did I Ever Tell You About…The Time I Should Have Died? This week is is the 125 anniversary of the Great Johnstown Flood of 1889. For most people that doesn’t mean much. For the people of Johnstown it means a lot. It was the first of three floods that threatened to destroy the town. Generations of my family have lived in the Johnstown area for all of them. I was around for the last flood in 1977. Did I ever tell you about…the time I should have died? I was only four, so I don’t really remember things well. It’s more like pictures or snippets of memories. But I remember the storm. It rained so hard and the thunder and lightning were so bad I thought I was never going to see my mom again (she’d gone shopping with my grandmother and had trouble getting home because of the storm). By the time it was over nearly 11 inches had fallen in less than a day — a once in a 1000 year storm the weather people called it. Officially, the rain overwhelmed everything. Johnstown made a number of flood safety improvements over the years. But that much water in such a small amount of time and all bets are off. Several dams eventually broke or spilled over. 85 lives were lost. Thousands of properties were destroyed or damaged. Ten of thousands of lives were turned upside down. I fall into the last two categories. 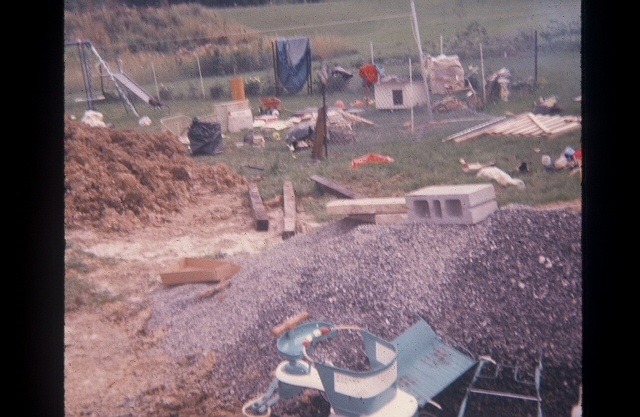 We lived outside Johnstown and were out of the path of the flooding that hit town. We should have been safe. We weren’t. We should have died that night. Miraculously we didn’t. 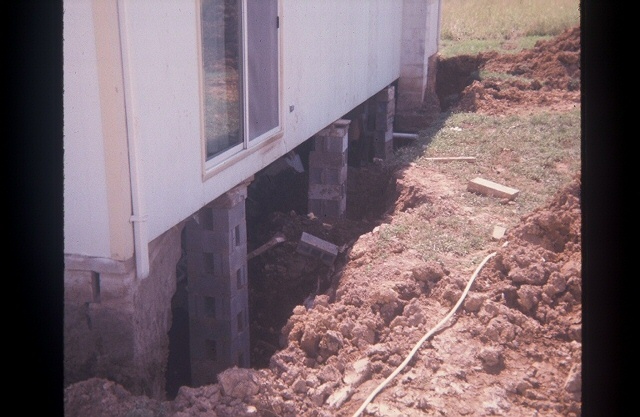 Our house a few days later being braced up where the foundation used had been. The next few minutes are a series of pictures in my mind. I remember being in the bedroom with the lights on changing out of pajamas. I remember seeing someone coming out of the bathroom (the water was on and working). It was sort of frantic calm. I don’t remember feeling the house shake or that we were in danger. I imagine my mom and dad grabbed some clothes and things, but mostly it was about getting out. I remember all of us sitting in the car and it raining so hard we could barely see the house. I remember the sound of lightning cutting through the atmosphere and deafening thunder. I remember the car radio wasn’t playing music, just a voice repeating over and over that there was flooding everywhere and people needed to get to higher ground immediately. I remember one of us asking my parents why we were just sitting there and my mom saying, “We’re waiting for the house to fall in.” That must have been when we realized it was bad because that’s when we started to cry. This is where the water heater and all the electric for the house had been. You see, the wall that collapsed was one of the walls that ran the length of the house. It was the wall where all the water and electricity came in to the house. When my dad ran down the stairs and into the basement the water and muck was already around his ankles, the circuit box and wires were in it too. He probably should have been electrocuted, or gotten a serious shock, but he was fine. Sparks should have been flying as live wires were torn and a fire should have started when paper and insulation fell on the mess. But none of those things happened. The house was stable the whole time we were in it that night. I don’t remember it shaking or creaking. By morning light only one person could be inside before it would shudder and shake. We had lights and water. By morning there was no power and no water. 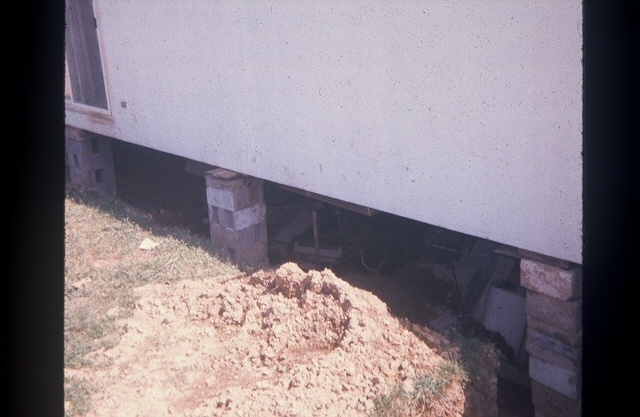 It was just as dangerous under the house, so bracing it up to stabilize it was a slow process. My parents spent weeks cleaning out the mud and salvaging what she could. The weeks that followed are a blur. We stayed with different relatives. 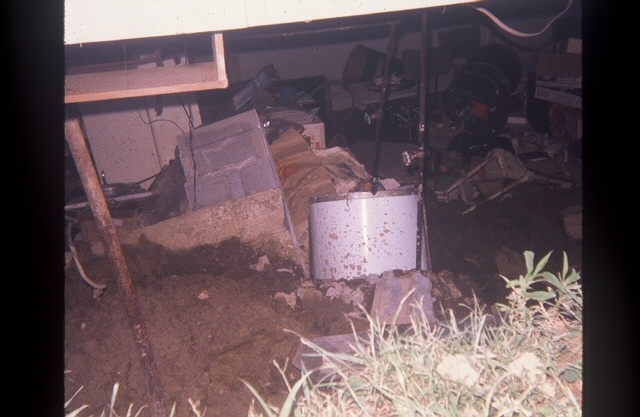 We didn’t see much of our parents while they dug the mud out of the basement and tried to save what they could. I remember drinking water in Pepsi cans because the water wasn’t always safe to drink and the local Pepsi bottling plant jumped in to clean, filtered water. I remember government cheese (it was kind of like Velveeta). I remember a strange fear in the pit of my stomach every time stormed that lasted for years. The foundation washed away, but somehow we made it through. My mom said that someone was watching out for us and that she knew that night that her kids were meant for great things because we made it out alive. The house should have collapsed, with us in it, when the wall caved in. It should have caught on fire. We could have been hit by lightning while we sat in the car. We could have been caught in flood water trying to get to my grandparents if a police officer ahead of us on the road hadn’t turned on his lights warning us to turn around. It was one of those nights where if any one thing had been different, a minute one way or the other, could have made all the difference in the five us surviving the night. I probably should have died that night. Yet, here I am. Sure, like a lot of people I’ve wondered why from time-to-time. Every time I have, I tried to remind myself of that night. I survived on a night when a lot of people didn’t and I really need to make the most of it. What about you? 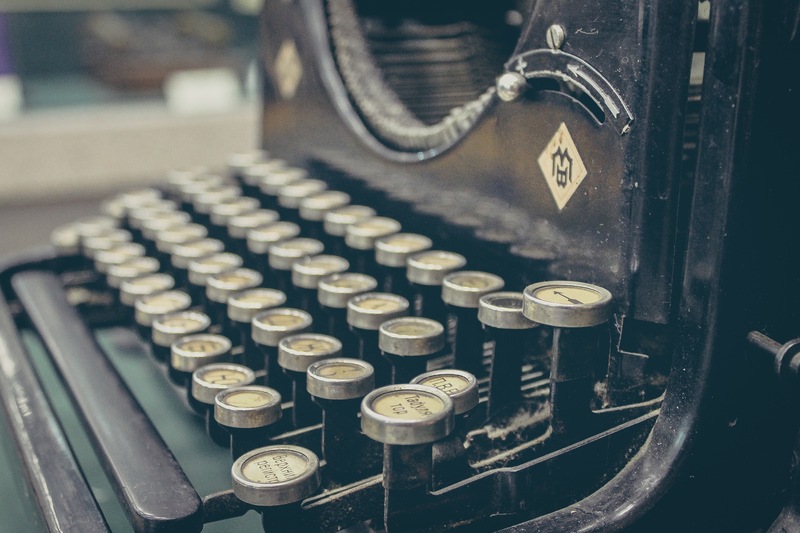 Do you have a story where a few minutes made all the difference? I’d love to hear it! Share in the comments below or post a link to where we can find the story. Next week’s story is a lot shorter, a lot more fun, and involves a giant pickle! Don’t miss it!